Hyderabad: Hyderabad Runners Society and Bharti Airtel together with the Govt. 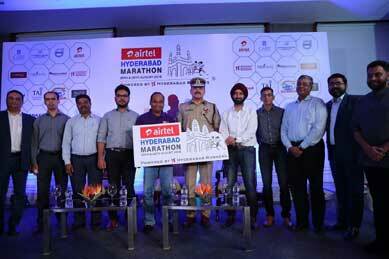 of Telangana announced that the 8th edition of the annual Airtel Hyderabad Marathon 2018 will have over 22,500 registered participants. With 3500 participants coming outside of twin cities, the annual sporting extravaganza is gaining massive approval among serious and amateur runners across India and overseas. Hyderabad Runners Society has always been supportive of top rate NGOs to raise awareness about social causes and funding in 2018 leveraging the annual marque event –Airtel Hyderabad Marathon. The select NGOs include 1. Isha Vidhya2. Thalassemia and Sickle Cell Society3. Manasa school for special children4. Kidpower India5. Gramya Resource Center for Women. Nearly 150+ runners will be representing one charity or another; The citizens of Hyderabad are requested to visit our charities portal, ahm.letzchange.org and make generous contributions to a cause of their choice. 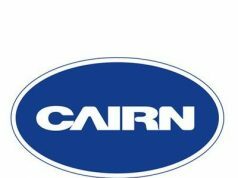 The Corporate Trophy for the largest corporate participanthas been commissioned to encourage runners from large corporates and build awareness on promoting healthy lifestyles with running. It was unveiled by Mr. Avneet Singh Puri, CEO, Bharti Airtel Ltd Andhra Pradesh &Telangana&Mr. Abhijeet Madnurkar, Race Director, Airtel Hyderabad Marathon. Speaking at event, Mr. Avneet Singh Puri, Chief Executive Officer, Bharti Airtel Andhra Pradesh &Telangana said, “For eight years, Airtel has promoted and presented this hallmark event to the city of Hyderabad, showcasing the thousands of wonderful stories and sharing the accomplishments of our amazing runners and participants of all levels. It’s fantastic to see that this event brings runners from all over the world to Hyderabad. It’s a brilliant opportunity for people of all ages and abilities to fall in love with the sport of running. Join us this weekend and celebrate the camaraderie among runners.” Hyderabad Runners is keen to encourage maximum citizen participation & make running the Marathon a fun-filled event with a lot of entertainment & music bands. Over 50 music bands from schools, colleges & professional groups are lining up the entire route of the Marathon to cheer runners & encourage citizens to join the largest community city event in Hyderabad.The prize money for the 8th edition is Rs.12.5lakhs Lacs for the winners in Elite | Male | Female category in the Marathon, Half Marathon and 10K Run Categories. The 5K Run on the 25th August is classified as a Fun Run with no prize money however there are encouraging gift hampers and, participants in this run are encouraged to run in fun costumes to highlight their pet causes. As one of the most popular and highly rated marathons in India, returns for the eighth year, over 22,500 runners, health & fitness enthusiasts, volunteers, medical personnel, city officials and police will come together and energize this sporting extravaganza with a curtain raiser – 5K Run on SaturdayAugust 25thand on Marathon Sunday – August 26th 2018, the 10K, Half Marathon (21.095 km) &Full Marathon (42.195 km) will take place. The marathon route will traverse the important landmarks in the city giving the runners a picturesque view of the Hussain Sagar Lake, IT & Knowledge hub of Hi-Tech City & Gachibowli while spreading the healthy lifestyle theme among Hyderabad denizens.